Gottfried Michael Koenig (* Magdeburg, 1926) collaborated intensively with Karlheinz Stockhausen in the 1950s in the Electronic Music Studio of the WDR in Cologne, where he himself also produced several landmark pieces of electronic and serial music. He moved to the Netherlands in 1964 to become the artistic director of Utrecht University“s Studio for Electronic Music, which in 1967 became the Institute of Sonology. Under Koenig“s supervision, the institute played a pioneering role in the development of new production techniques for electronic music, including digital sound synthesis, and programs for computer-assisted composition. He has continued to compose electronic music as well as music for solo instruments and ensembles, each work representing a further step in a highly original and radical thought process. The present volume of writings and conversations (1954–2001) – most of which appear in English translation for the first time – document Koenig“s systematic exploration of serial and aleatoric techniques, relationships between technology and music, algorithmic composition and reflections on music by others. 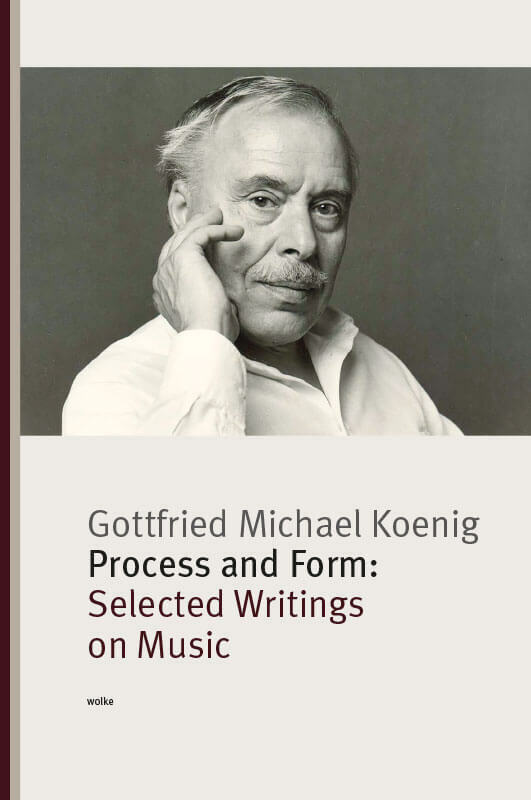 Koenig“s music and writings are the ideal subjects for a reorientation regarding 20th century musical composition, of which many ideas are still at the beginnings of their full exploration.